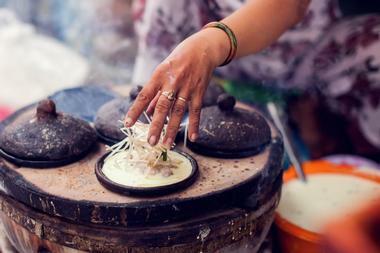 Vietnam is a unique vacation destination filled with history, culture, and tradition. Must-see attractions include the Bao Trang White Sand Dunes, the Con Dau Islands, the Ho Chi Minh Mausoleum, and the Phong Nha Caves. 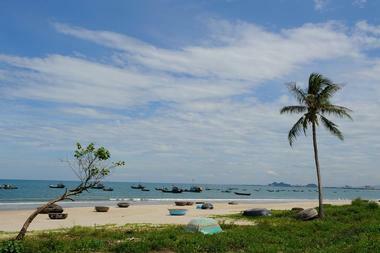 Vietnam is also home to what is called one of the most beautiful beaches in the world, My Khe. 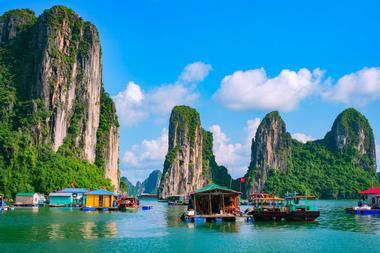 A popular travel destination within Vietnam, Ha Long Bay is a breathtakingly beautiful collection of isles and limestone karsts in various sizes and shapes. The UNESCO World Heritage Site has an area of over 43,400 hectares and houses over 1,600 islets within that. Many of the islands are hollow and have enormous caves visitors can explore; the largest grotto in the Ha Long Bay is Hang Dau Go, or the Wooden Stakes Cave. 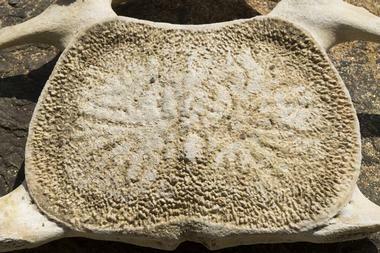 Visitors will come across limestone that is over 500 million years in the making under various weather conditions. The spectacular seascape offers beautiful scenery that visitors from all over the world come to appreciate. 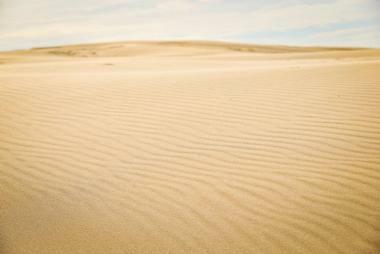 Found in Mui Ne, the White Sands Dunes of Vietnam, or Bao Trang, is approximately five hours away from Ho Chi Minh City. A completely unusual atmosphere compared to the wet, tropical environment Vietnam is known for, the beautiful desert with its sand dunes is one of the only ones in all of Southeast Asia. What makes the desert even more special is the lagoon that sits right in the middle of it completely covered in lotus flowers; visitors will be able to take some beautiful photographs of this and the surrounding area. Nearby, visitors will be able to see a small, cool pine forest as well as Mui Ne’s coastal area approximately an hour away. 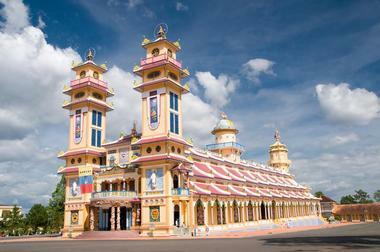 Cao Dai Holy See is a lavish temple that is also the headquarters of the Cao Dai movement. Founded in 1926, the followers believe that many spiritual figures such as Jesus Christ, Buddha, Prophet Mohammed, Joan of Arc, and Victor Hugo were all prophets of the same universal truth. There are many temples dedicated to the cause throughout the country, but Cao Dai Holy See is definitely the most impressive. The temple is distinguishable because of its carved ornamentation, vaulted mosque-like pillars, and bright colors. There are many travel companies that offer transportation and tours of the lovely attraction from Ho Chi Minh City. 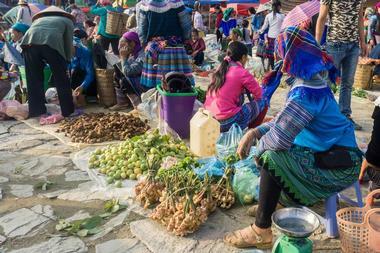 Every Sunday, minority groups from all over come together for the Bac Ha Market in Northwest Vietnam. An extravagant event that allows visitors to get a feel for the country’s community and culture, the marketplace is filled with music, sounds, and bright colors. The people meet here, dressed in costumes, to sell a variety of goods and catch up with old friends. Visitors will be able to see livestock such as cows, buffalo, goats, fish, and other animals traded; they can also go back home with handmade souvenirs for friends and family. There are various restaurants and food stalls surrounding the market where visitors can try delicious traditional cuisine and the special corn wine. 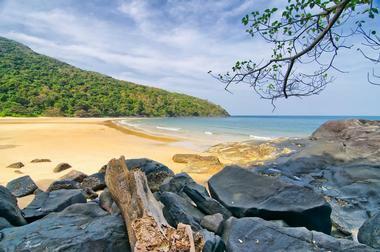 A group of sixteen islands, Con Dao can be found off the southern coast of Vietnam. During the French colonial era, the islands served as a holding cell for political prisoners; they were then used by the Saigon regime to imprison opponents. Visitors can still see the old prison buildings and see an important part of Vietnam’s history. There is also a small museum that holds interesting information and artifacts for visitors to explore. 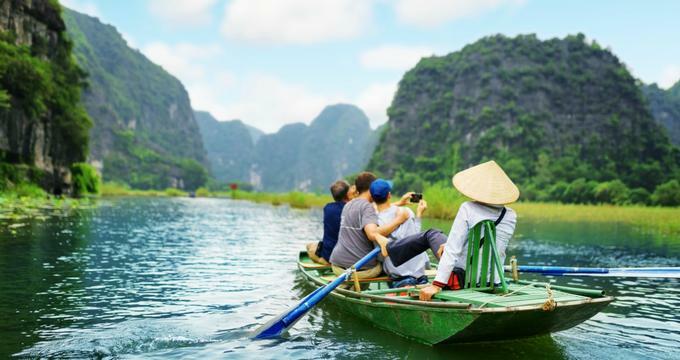 Considered one of Vietnam’s most popular attractions, Con Dau now attracts people because of its striking natural beauty; visitors will be able to see stunning beaches, scenic bays, coral reefs, and areas covered in thick forests. These make the islands perfect for wildlife-watching, hiking, diving, and exploring deserted areas. 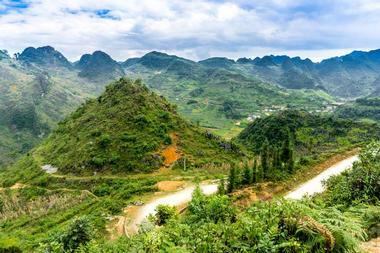 Full of geological and archaeological wonders, Dong Van Karst Plateau is a striking aspect of northern Vietnam. 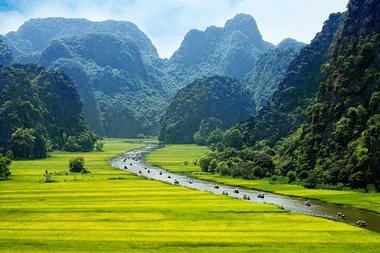 Consisting of mountain ranges and narrow valleys, Dong Van Karst is one of only 77 geological parks in the world. The area is over 2,300 square kilometers wide and houses Dong Van Town right in the heart of it all. Excavations of the area have proven it to be a fascinating landscape; archaeologists have found stone tools dating back over 30,000 years ago. Presently, visitors are invited to hike and explore the lands to admire its stunning beauty. 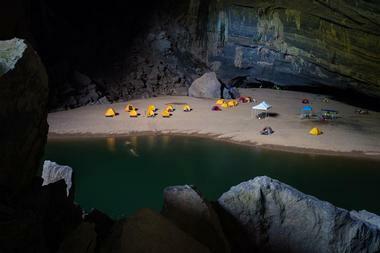 They will be able to leave Vietnam with some breathtaking panoramas of the unique geopark. 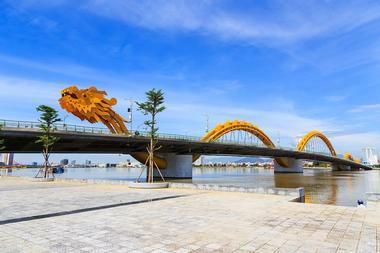 The Fire Breathing Dragon Bridge is exactly what it sounds like – a bridge with a dragon that breathes fire. The 1,864-foot-long bridge has a steel dragon embedded into its side that playfully shoots fire as well as water from its mouth. The bridge itself opened in 2013 to commemorate the 38th anniversary of the taking of the city of Da Nang during the Vietnam War. The metallic dragon is a sight to behold, especially from the six lanes of traffic that drive beneath the giant; it was modeled after a sculpture from the Ly Dynasty and is illuminated with over 2,500 LED lights, making it even more mesmerizing at night. Categorized as the world’s largest cave, Hang Son Doong, or Mountain River Cave, was discovered in 1991 and now offers exploratory tours to the public. The cave was long avoided by the locals because of the huge vertical drop and the sound of the fast-moving underground river that came from within but was ultimately found by resident Ho-Khanh. The largest chamber in the cave is over five kilometers long and over 200 meters tall; there’s even a jungle inside the cave. Visitors can spend days inside Hang Don Doong, camping within its beauty, and explore the flora and fauna that can be found inside. Located inside the National University of Hanoi, the Hanoi Zoological Museum, or Bao tang Dong vat, is a French-Colonial era collection of taxidermized specimens. There are three sections in the museum, and visitors can be guided through the exhibits by the museum’s director himself, Mr. Vu Ngoc Thanh. One of the most popular exhibits there is a large skeleton of an elephant. 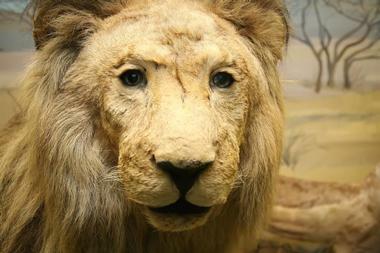 The rooms are filled with various other stuffed birds, fish, amphibians, and mammals. To explore the collection, visitors will have to call in advance and set up an appointment; there are no specified daily hours open to the public. Ho Chi Minh Mausoleum is the final resting place of Vietnam’s revolutionary leader, Ho Chi Minh. The large building can be found in Ba Dinh Square and is open to the public for visitors to explore. 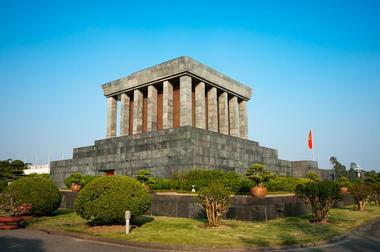 The mausoleum has been around since 1975 and has distinct Vietnamese architectural elements. Visitors will also be able to explore the surrounding gardens, which are filled with over 250 species of flowers and plants. The mausoleum itself is protected by a military honor guard, and you will see many visitors and foreign dignitaries paying their respects to Ho Chi Minh every morning. 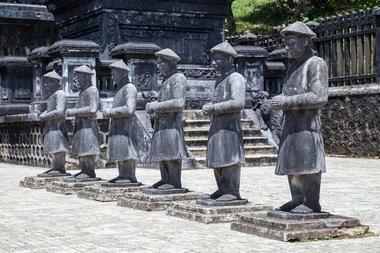 The Tomb of Khai Dinh was completed in 1931 and can be found near the Chau Chu Mountain in Vietnam. It was initially built for Khai Dinh, the 12th Emperor of the Nguyen Dynasty. During the span of its eleven-year construction, various architectural styles from the West and East were included. You will be able to see many Hindu and Buddhist styles in the tomb’s rectangular structure. Visitors will be able to see the biggest dragon sculptures on the side walls as well as some stunning glass and porcelain art within the tomb. An interesting aspect of the tomb are the twelve stone statues representing bodyguards, which can be seen surrounding it. Temple of the Whale, or Lang Tan Temple, is home to what is claimed to be the largest whale skeleton in all of Southeast Asia. The temple is located on an island off the coast of Vietnam, and visitors flock there during the warmer spring season to worship the 200-year-old skeleton of what is called “The King of All Whales.” It is recognized as a national historic site, and visitors bring many offerings to the skeleton as the Ly Son fisherman believe that whales protect them and bring them luck. Visitors will be able to get up close and personal with the 130-foot-long skeleton and see how locals interact with it in the temple. 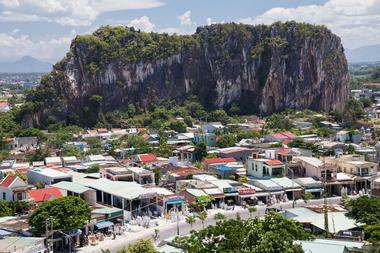 Called Ngu Hanh Son in Vietnamese, Marble Mountains is a cluster of five limestone and marble hills. Each of the five is named after an element: Thuy (water), Kim (metal), Moc (wood), Tho (earth), and Hoa (fire). Combined, the mountain range has many tunnels and caves that can be explored; there are also several Buddhist sanctuaries that have made the mountains their home. Visitors are invited to visit the sanctuaries, tour the tunnels and caves, or even attempt to climb to the summit of Mt. Thuy. Marble Mountains is famed for its stone-cutting crafts and stone sculptures, many of which you will be able to purchase as souvenirs. Often considered the most beautiful beach in all of Vietnam, My Khe Beach can be found in Da Nang, one of the country’s most spectacular coastal cities. In fact, Forbes Magazine even titled My Khe as “one of the most attractive beaches on the planet.” The beach has a 35-kilometer coastline that stretches from the Hai Van Pass to Non Nuoc. Visitors will be able to relax and enjoy the golden sand and the warm azure waters all year round while having access to great accommodation and attractions. There are various watersports such as jet skiing and snorkeling available on the beach. 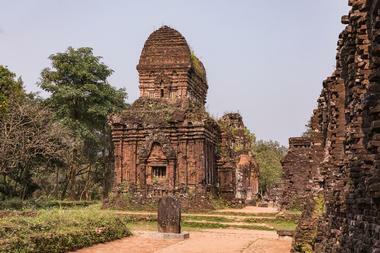 Located near the village of Duy Phu, My Son is a two-kilometer area filled with many abandoned and ruined temples. The religious structures were constructed between the 4th and 14th century AD by the kings of Chiem Thanh to worship the Hindu god, Shiva. Historically, the site was known for holding religious ceremonies for the kings, as well as being a burial place for royalty, and at one point had over 70 temples. 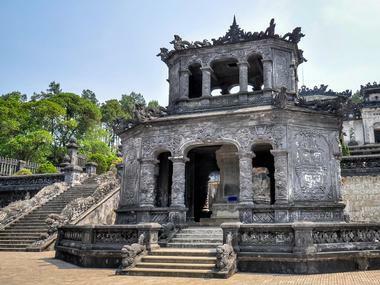 While a majority of them were ruined during the Vietnam War, visitors can still see many of the stunning remains of the UNESCO World Heritage Site. One of the most popular aspects of Phong Nha-Ke Bang National Park, Phong Nha Caves, takes visitors on an exciting underground journey. You will have to take a boat up the Son River from the nearby town to get to the entrance of the cave; this in itself is a fun way to see the many fisherman, coastal towns, and beautiful backdrops you’ll pass while getting to the cave. 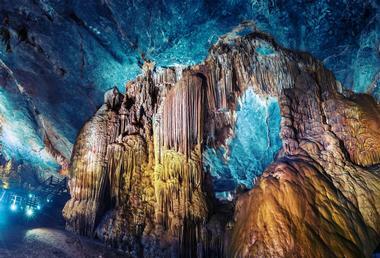 Once in, you can paddle into the eerie beautiful cave to explore further. The low dark ceilings slowly turn to enormous caverns dripping with stalactites and is a magnificent transformation for all. 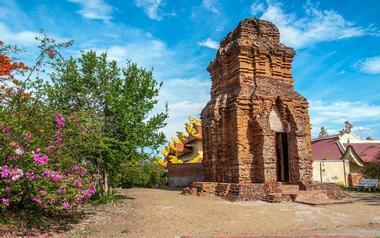 Po Shanu Cham Towers is one of the last remnants of what was once a successful civilization in Vietnam, the Cham empire. The intricate stone structures display the lost culture’s architecture and legacy and was built in dedication to Princess Po Shanu. Looking at it, visitors can imagine how impressive the initial structure would have been and learn about what archaeologists have uncovered over the years. Depending on when you are in Vietnam, you may be able to see the colorful and fun-filled annual festivities that are held at the ruins to pray for rain or for the local fishermen to return safely. Sa Pa Terraces is one of the most impressive rice fields in all of Vietnam and can be found in the mountainous area near Hoang Lien National Park. 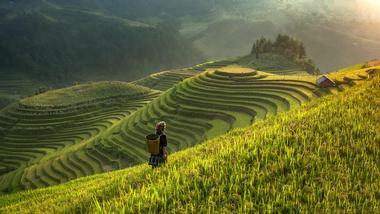 There are many tour companies nearby that take visitors on treks through the rice fields. Tour guides can also arrange for visitors to stay overnight at the homes of one of the locals to get a real memorable experience of what it is like to live and work in Sa Pa. The spectacular views of the green fields that are lush in the summer months is worth the visit to Sa Pa alone, but visitors who are there can also head to the biggest market in the province to find unique souvenirs. The world’s first Buddhist waterslide park, Suoi Tien Cultural Theme Park is a water-filled fantasyland that visitors from all over Vietnam head to for a fun day out. It is just 15 kilometers south of Ho Chi Minh City, so you can head over to the park devoted to Buddhism in no time at all. 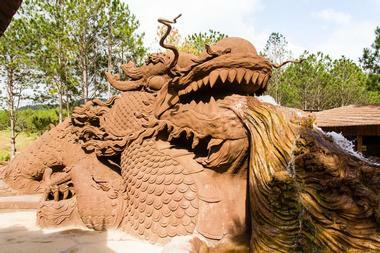 The animistic works in the water park include many characters considered sacred in the religion such as dragons, unicorn, tortoise, and the phoenix. Younger visitors will love the “golden monkeys” that roam the park causing mischief while others can learn so much about Vietnamese folklore, history, and Buddhist culture. Considered one of the most picturesque spots in Vietnam, Tam Coc is a collection of mountains, green fields, and caves filled with stalagmites and stalactites. The three caves are the highlight of the area, and visitors are guided through long, dark tunnels with surroundings that have eroded into a breathtakingly beautiful site. A part of the UNESCO World Heritage Site, the Trang An Landscape Complex, the Tam Coc grottoes may very well be the one of the prettiest places that visitors will go to during their vacation. Visitors are rowed on wooden boats into the 6 ½ foot high passage for approximately two hours from the Van Lam Pier. There are some resorts surrounding the area for visitors to spend the night and enjoy their surroundings. 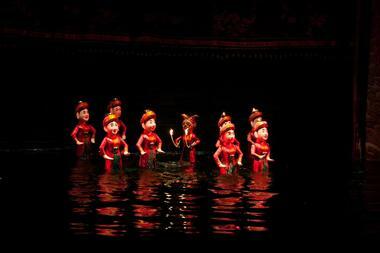 The Thang Long Water Puppet Theater in Hanoi is world-famous and dates all the way back to the 11th century. The theater stems from a long-standing tradition when the rice paddies would flood, and villagers stood in the waist-deep water performing with puppets to entertain the locals. Performances are accompanied by the Vietnamese orchestra, and visitors are in for a real treat when they hear the operatic songs and the sounds of the traditional drums, wooden bells, bamboo flutes, and cymbals accompany the story that the puppets act out. Many of the Vietnamese folk tales the puppets depict are rather funny and represent legends and folktales revolving the rice harvest. In planning for his eventual demise, the 12th emperor of the Nguyen dynasty, Khai Dinh, spent eleven years building his final resting place. When he died in 1925, he was buried in a lavish tomb that contained a golden effigy of himself. Visitors will be able to see the many intricate details in the tomb’s architecture, which fuses Chinese, Vietnamese, and European Gothic elements. There’s also some impressive majestic stone elephants, warrior statues, and dragons scattered at the tomb entrance as well as designed glass and porcelain decorations on the walls. 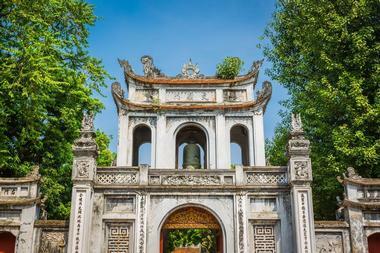 The Tomb of Nguyen Emperor Khai Dinh is an extremely popular site for tourists and can be found in many tours offered. 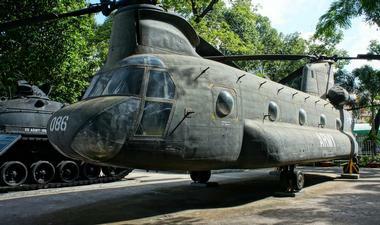 The War Remnants Museum was established in 1975 and is a war museum dedicated to preserving and exhibiting artifacts from the Vietnam War and the first Indochina War. The museum is operated by the Vietnamese government and consists of themed rooms scattered through many buildings. Visitors shouldn’t miss the period military equipment placed in the yard which include a F-5A fighter, an M48 Patton tank, and a A-37 Dragonfly attack bomber. There are even reproductions of the tiger cages which the South Vietnamese used to hold political prisoners, so you can get an idea of the conditions. One aspect of the museum that you should also see is the photographic display with works by Bunyo Ishikawa, a Vietnam War photojournalist. Built in 1070 during the time of Emperor Ly Thanh Tong, the Temple of Literature is one of several temples in Vietnam dedicated to Confucius. The temple also houses the Imperial Academy, which is the first national university in Vietnam. Visitors can explore the many halls and pavilions, which are used for study sessions, to hold the exams of the Dai Viet, and to offer ceremonies. In the 54,000 square meter land visitors will be able to see not only the temple, but the many courtyards, Van Lake, and Giam Park. People can go to the courtyards, which are quiet areas filled with ancient trees and trimmed plants to meditate, relax, and reflect away from the bustle of the outside world.